The International Charter on Space and Major Disasters was recently activated to come to the aid of victims of the terrible floods in Bangladesh. This is the 500th time the organization co-founded by CNES in 2000 has sprung into action. In its more-than-15-year existence, the International Charter on Space and Major Disasters has seen its membership grow from the original three founding space agencies—CNES, ESA and CSA, the Canadian Space Agency—to 16 today. These member agencies make their Earth-observation satellites available to emergency responders around the world to aid relief efforts in the event of natural or man-made disasters. The Charter is called upon 40 or so times a year on average. Charter logo. Credits: CNES, ESA, ASC. 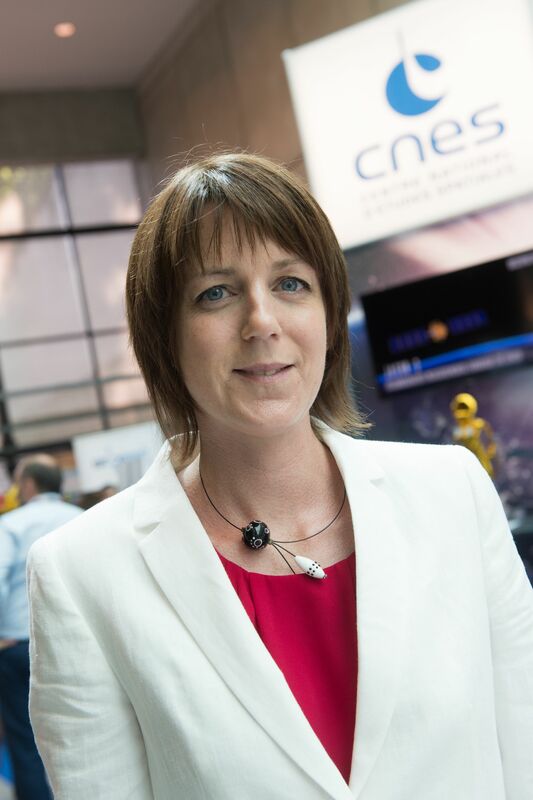 “Authorized users anywhere in the world, who are registered with the Charter and possess the necessary communications systems and have undergone specific training, can activate it at any time, explains Claire Tinel, CNES’s Charter representative. There are currently 61 such users, and all of the world’s nations can access the Charter, if not directly at least through these authorized users or the United Nations.” For its 500th activation, on 1 August, the Charter came to the aid of victims of the massive flooding in Bangladesh, where it is estimated that 1.5 million people are affected. “An authorized user from the Sentinel Asia emergency response network activated the Charter on 1 August at 10:41 CEST,” recounts Claire Tinel. “The Charter’s Call Officer then asked member agencies to task their satellites, following a precise procedure deployed in the event of flood disasters. The first tasking order was sent just 1½ hours after the call.” In all, 10 radar and optical satellites out of the 35 in the constellation that the Charter can call on have been tasked to acquire imagery of the disaster zone. This imagery will be used to compile damage and flood maps for emergency responders on the ground. 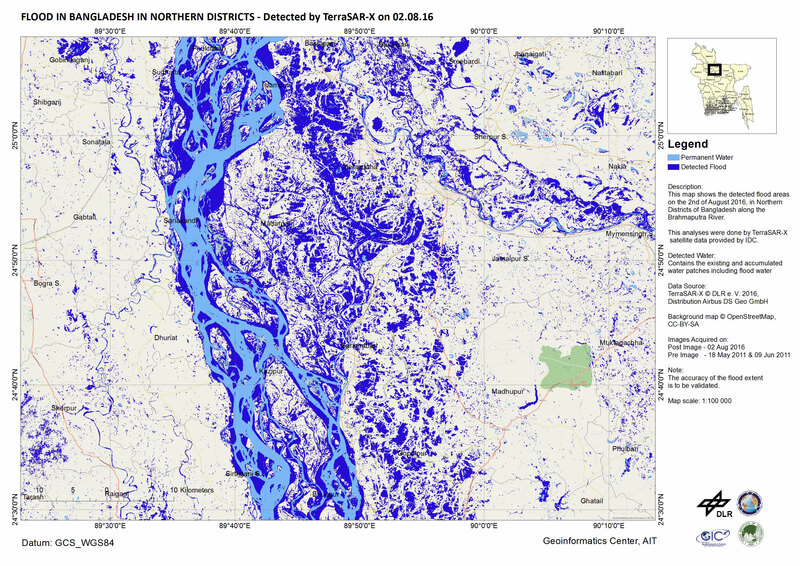 “For floods, such maps highlight the extent of the flood zone while pointing up at a glance any damaged lines of communication likely to slow relief teams,” says Claire Tinel. We can unfortunately expect the Charter to be activated many more times this year and in the future, bringing all of its assets to bear to support relief efforts. Claire Tinel, CNES’s representative with the International Charter on Space and Major Disasters. Credits: CNES/E. Grimmault. Map produced by Geoinformatics Center, Asian Institute of Technology. Catherine Proy, CNES’s former Charter representative, has co-written a scientific article published in Science (15 July 2016) analysing more than 1,000 activations through international partnerships like the Charter over the last 15 years. The article shows that most activations are concentrated over Asia and Europe, matching the statistical geographic and temporal distribution of natural disasters. It also puts into perspective how satellite assets are employed to aid relief efforts in affected countries.